It's Spring Break and if you're like most of us, at this point in the week, you're not sure who needs to get out and burn off some energy more - you or the kids!?! It's the perfect time to come meet some other parents/kiddos, and get in a little exercise! 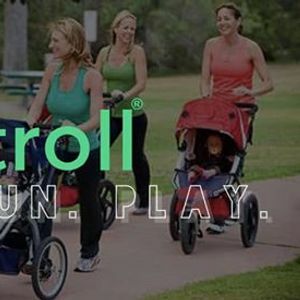 Join us for a Walk/Run/Play morning meet up! We'll meet up around 9:15 in the Porter Pavilion Lot in Amerson Park (straight through roundabout, by large white tent), do some introductions, and then head off at 9:30 AM on an at-your-pace walk/jog around the 1.5 mile large park loop, with the option for 1 or 2 laps and to end back at Porter OR head to the playground! 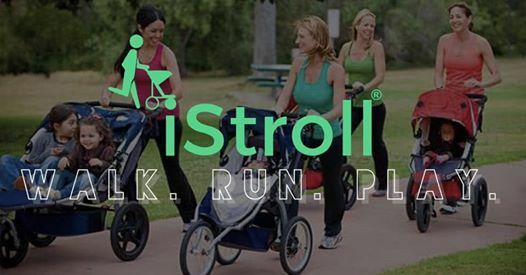 The meet-up is sponsored by iStroll but is FREE to anyone - this does not require an iStroll membership or class pass! So grab a friend, put your babies in the stroller or carrier, let your big kids bring their bikes or scooters to ride alongside, and come get to know some new friends!